Volunteering on our Medicine project in Morocco will provide you with an excellent opportunity to learn about medical practices in another culture whilst helping the local people who depend on the services provided by the centre where you will work. Volunteers joining this project should have completed a minimum of one year’s medical studies. As a Medicine volunteer in Morocco you will have the opportunity to work in a number of departments in one of our partner hospitals or clinics. Volunteers should speak a good level of French (or Arabic) in order to fully participate in the medical projects. On your first day of work, you will be introduced to your placement supervisor who will always be on hand to help you throughout your time as a volunteer. Before you arrive in Morocco, you will discuss your placement options with a member of staff and choose which departments you would prefer to work in; options include Dermatology, Gynaecology, Paediatrics and Surgery. Although you will find that you spend a lot of time learning through shadowing staff, it is sometimes possible to have a more active role. If you show enthusiasm and initiative, and you manage to develop a good relationship with the medical staff, you may find that you gain enough trust to be given more to do. As with any job - and especially in the field of medicine - you must prove yourself to be trustworthy before you are given responsibilities. In your free time, there are plenty of opportunities to socialise with other volunteers and locals, as well as plenty of travel opportunities. 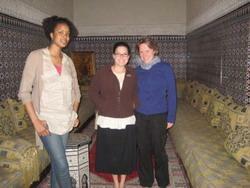 By living with a local host family, you will be welcomed into a warm Moroccan home and can use the opportunity to practice your French or Arabic language skills. 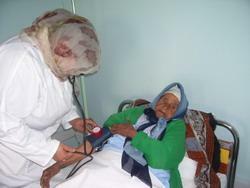 If you are a qualified nurse or midwife you could volunteer with us as a nurse or midwife in Morocco. Also, nursing or midwifery students, interested in gaining some more experience in the field, could volunteer as an auxiliary nurse. Вы можете ознакомиться с детальной информацией о целях данного проекта здесь: Morocco Medicine & Healthcare Management Plan.